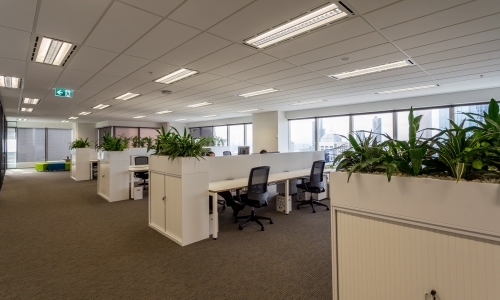 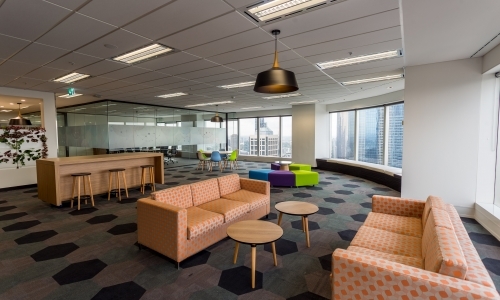 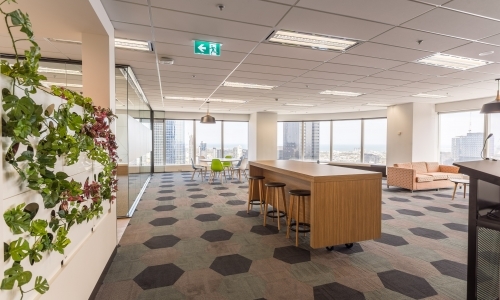 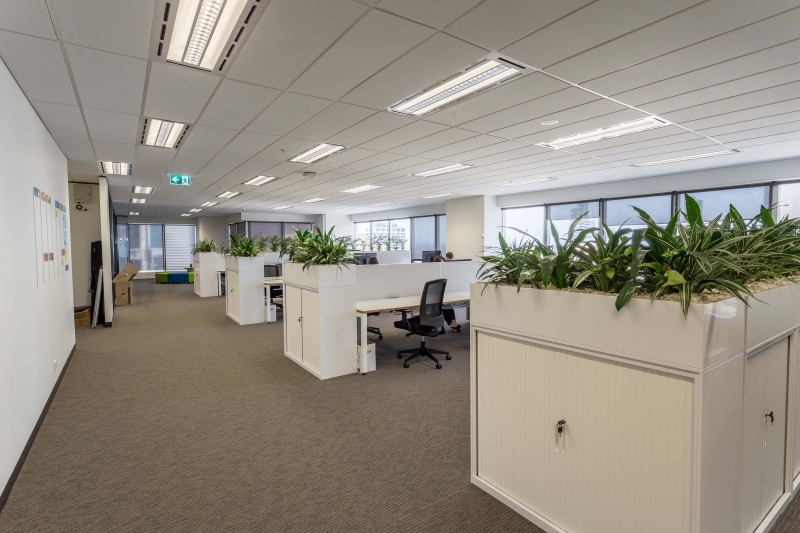 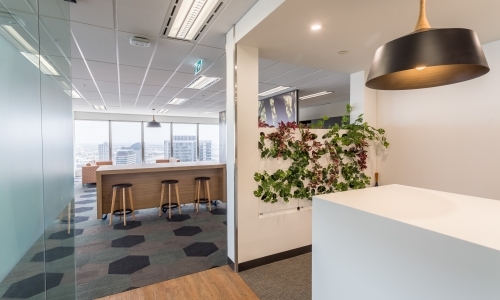 Experts in the technical consultancy space, Shine Solutions, required a bold and dynamic workspace. 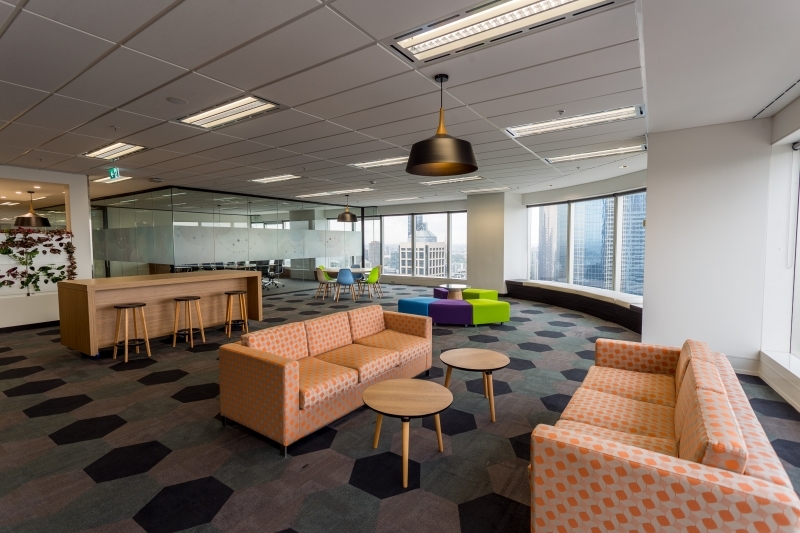 Corporate branding was brought to life in the meeting and boardroom. 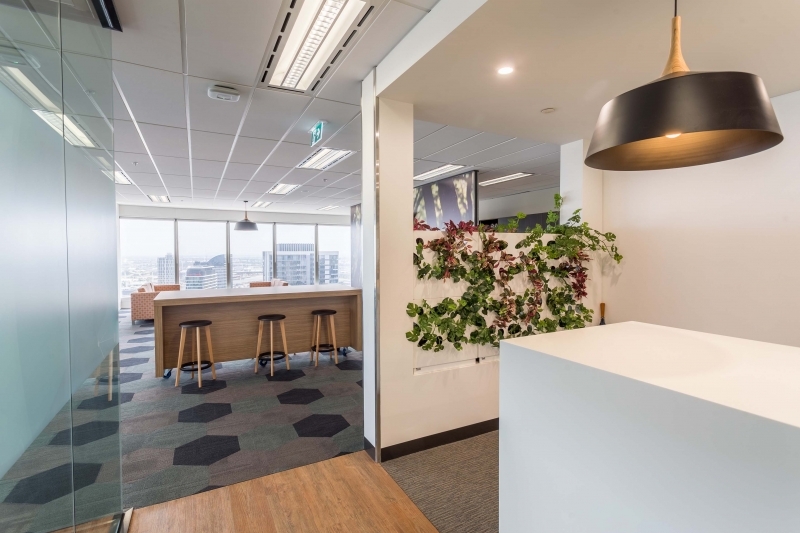 While open plan workstations, and a large breakout space used for everything from informal meetings to yoga classes, are surrounded by greenery. 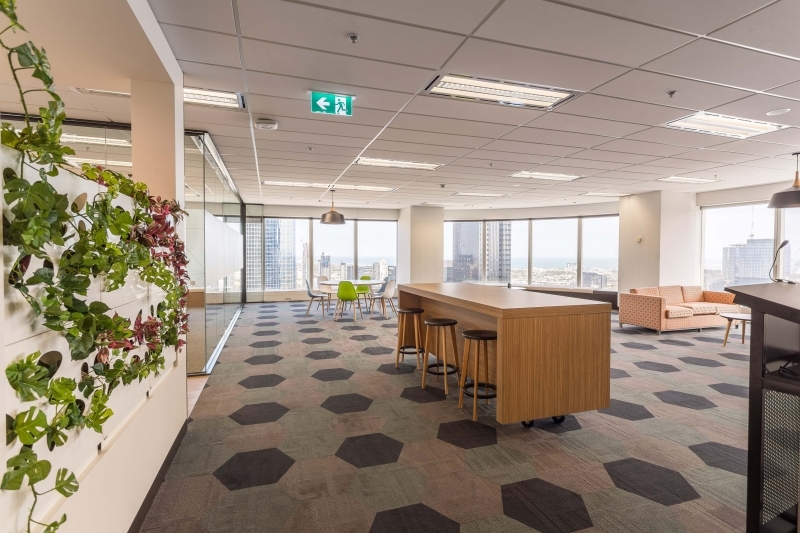 Extensive flexible seating including along the curved perimeter, and feature pendants and an earthy kitchen complete with tree landscape mural create a relaxing, modern and classic work environment.